Since 1974 Romar Pest Control has been the leader in termite control for Franklin, Nebraska. 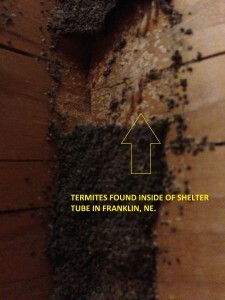 Homes in Franklin Nebraska have a very high risk factor of termite infestations because of the number of termite colonies near the Republican River and the number of termite colonies living in Franklin, NE. 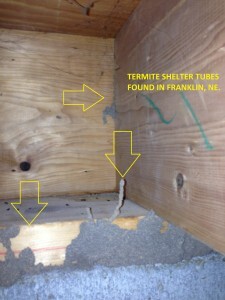 Here are some photos from June 2014 of the most recent termite infestation in Franklin, Nebraska.